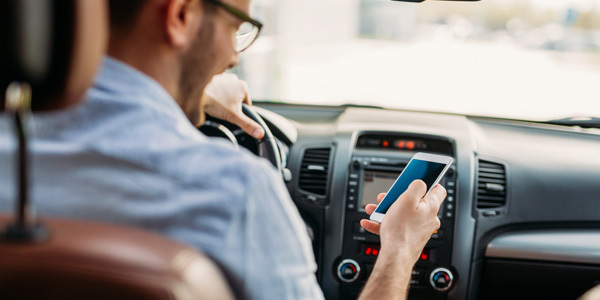 April is Distracted Driving Awareness Month, and a new survey finds 55 percent of U.S. drivers admit to checking social media while behind the wheel. Conducted by the online driving school DriversEd.com, the survey also produced some disturbing revelations in the age of ride-sharing: Sixty-eight percent of Americans say they’ve caught their driver checking social media, and 35 percent say they’ve caught their driver watching a video. Social media – Thirty percent of drivers say they’ve checked Facebook while behind the wheel, as 20 percent say they’ve checked Instagram and 17 percent say they’ve checked Snapchat. Watching video – Twenty-six percent of drivers say they’ve watched videos on their phone while behind the wheel, as 14 percent say they’ve watched Facebook videos, 12 percent say they’ve watched YouTube videos, 9 percent say they’ve watched Instagram videos and 9 percent say they’ve watched Snapchat videos. Recording video – Twenty-five percent of drivers say they’ve recorded a video while behind the wheel. Uber and Lyft – Nineteen percent of Americans say they’ve noticed their Uber, Lyft or other ride-share driver checking social media. “Stuck in traffic. Waiting at a stop sign. Stopped at a red light. These are all situations where many drivers think it’s safe to send that text or scroll through their social feed – but the realities of the road say otherwise,” said Adams. “Pedestrian deaths, which are currently at a 30-year high, often occur at intersections and crosswalks as the result of a driver being distracted.